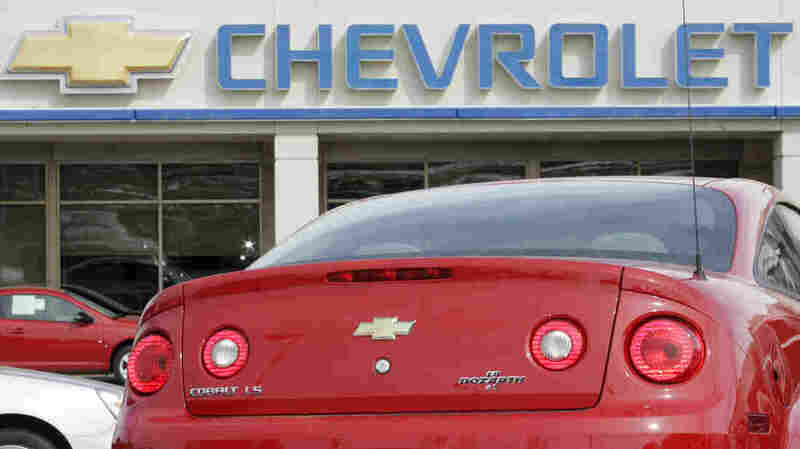 Details Of GM Recall Compensation Plan Released : The Two-Way GM's compensation program for claims related to defective ignition switches won't limit claim amounts and will include people who have already settled a case with the automaker. GM has released details about its compensation fund for victims of a fatal safety flaw in its ignition switches. The Chevrolet Cobalt is one of several GM models that were recalled over the flaw. A fund established by GM to pay claims related to defective ignition switches won't limit claim amounts and will include people who have already settled a case with the carmaker. Those and other details about the long-awaited compensation plan were announced by plan administrator Kenneth Feinberg on Monday. "GM basically has said, whatever it costs to pay all eligible claims under the protocol, they will pay it," Feinberg said. The ignition switch safety flaw that made GM cars and SUVs lose power — and consequently, the use of their air bags and power steering — has been blamed for at least 13 deaths and many more injuries. It also caused the recall of millions of cars with model years between 2003 and 2011. While some claims are likely to yield payments of thousands of dollars, Feinberg said that others, for death or catastrophic injury, could bring payments in the millions. The plan was unveiled in Washington, D.C., Monday; a website explaining the program has been created to let people submit claims either online or by downloading forms and mailing them in. GM says claims can be submitted between Aug. 1 and Dec. 31 of this year. There is no fee to file a claim. The program requires people who are satisfied with their claim's outcome to waive their right to sue GM. Those who already settled a related case against GM can file a claim; the administrator "will take into account and offset any prior payments made by GM." Feinberg — not GM — will determine who is eligible for compensation and how much money they should get. The car company won't be able to appeal, and the fund is not capped with a monetary limit. Driver negligence — "e.g. intoxication, speeding, etc." — is "irrelevant" under the program. Claims for property damage won't be eligible. Claims for emotional or psychological harm aren't eligible. Eligible claims will be processed and paid within three to six months after they're completed.